Members of Harker’s Technology Student Association visited California State University Bakersfield March 24-26 to participate in the TSA California State Conference, where students placed highly in several categories. The team of Gary Tsai, Markus Wong, David Wen, Aadith Srinivasan, Kevin Tzeng and Neil Bai, all grade 11, took first place in architectural design. Junior Adrian Chu won first place in extemporaneous speech. In promotional design, Andrew Chang, grade 10, placed first and junior Derek Kuo took second. First place in scientific visualization went to Catherine Zhao, Eileen Li and Jackie Yang, all grade 9. 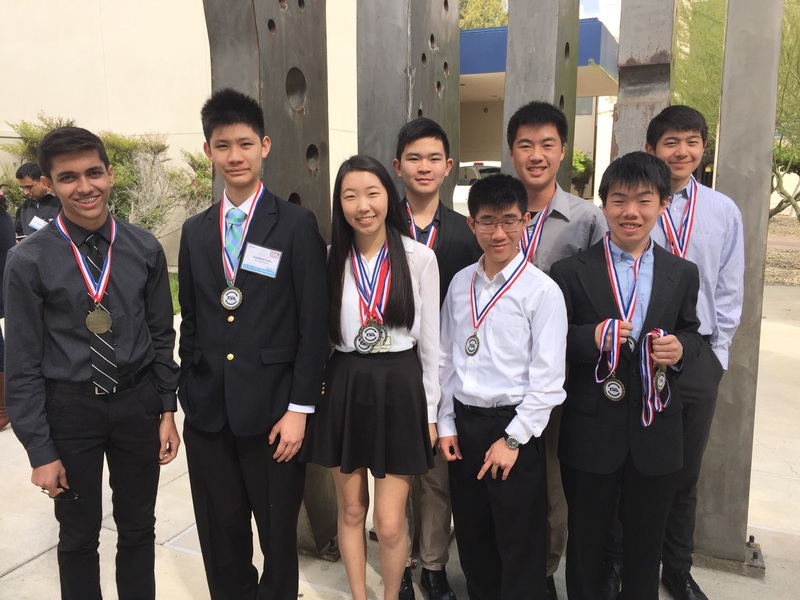 The team of juniors Derek Yen and Sumer Kohli and sophomore Alexander Young earned first place in Technology Bowl, where the team of Gary Tsai, David Wen and Adrian Chu took second. Finally, the team of juniors Sharon Yan, Julia Huang and Ashley Jiang and sophomore Anna Wang took second place in fashion design. Founded in 1978, the Technology Student Association provides development opportunities for K-12 students in technological disciplines. It has 250,000 student members nationwide, according to its website.